Sprint has expanded its LTE pipeline to 41 new markets. Overall, the nation's third largest carrier has 4G LTE coverage in 443 cities. Sprint's tri-band LTE network is now in 24 markets after adding six more locations including Oakland, Calif.; Orlando, Fla.; West Palm Beach, Fla.; Waukegan, Ill; Newark, N.J.; and Tacoma, Wash.
Sprint Spark uses the 800 MHz, 1.9 GHz and 2.5 GHz LTE spectrum to provide speeds in the 50Mbps to 60Mbps range. Using circuitry on special Android phones that support Spark, the technology figures out what task you are trying to do, and picks one of the three LTE bands that is the best match. This not only allows Spark to offer faster speeds, the signal also penetrates buildings better. Sprint Spark also allows handsets like the Samsung Galaxy S4, Samsung Galaxy S5 and the HTC One (M8) to use HD Voice for completely clear voice calls. Sprint has equipped many of its 4G LTE phones with a separate antenna that allows for simultaneous use of voice and data at the same time. 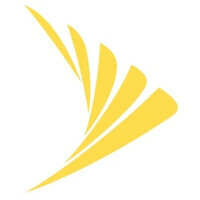 However, Consumer Reports recently stated that those using Sprint Spark cannot use data and voice at the same time. Sprint has confirmed this and added that "Simultaneous voice and data sessions are not available on tri-band devices unless the customer is using Wi-Fi." Cool, go ahead and help bog down AT&T's network even more then it is... I'll continue make in fun of you idiots with my Spark goodness. Thank you. Im starting to think these people just hate the color yellow. I was just thinking the same thing, Sprint has killer service for me here in Hampton Roads. Plus they are less expensive than Verizon/AT&T, & I still get a phone subsidy unlike T-Mo, best of both worlds. look, I work for sprint and would love for things to get better. However, AT&T's network isn't bogged down. Around here people are getting anywhere from 45-65mbps down with at&t!!! Now verizon is slow as can be here. 1-2mbps down on LTE. When sprints LTE launched here we were getting 10-25mbps down. Now no matter where you are at it is only pulling 2mbps down. We definitely need to start looking into maximizing our spectrum more efficiently. Spark is a good start, but it will be years before it reaches enough people. Right now it is only WiMAX markets that will get it. Sprint's marketing is just lies and they should be fined by the government for this sort of stuff: "Sprint Spark uses the 800 MHz, 1.9 GHz and 2.5 GHz LTE spectrum to provide speeds in the 50Mbps to 60Mbps range. Using circuitry on special Android phones that support Spark, the technology figures out what task you are trying to do, and picks one of the three LTE bands that is the best match. This not only allows Spark to offer faster speeds, the signal also penetrates buildings better." All of Sprint Spark's three bandwidth options are inferior to running LTE on a 700Mhz network. Needing special Android phones just means fewer, more expensive phones. Or less profits and more business problems if you are a Sprint shareholder. There is no getting around the fact that Sprint will need to purchase quality bandwidth in the future, not depend on some patchwork quilt and special phones. I can't imagine the wreckage that would ensue if a poorly run company like Sprint gets the go-ahead to buy T-Mobile. The acquisition of clearwire and it's bandwidth was a huge mistake. They only got a ton of 2.5 Ghz that is pretty much useless. It doesn't go though buildings and it doesn't have a good range, not to mention that a lot of phones don't support the band. Instead of wasting that money on clearwire, they should have put it to use on deploying LTE on the 800 MHz and 1.9 Ghz bands, or maybe even bought low band spectrum. I also don't buy the whole "spark" thing, just another marketing strategy. You know they overcome the propagation problems on Band 41 by deploying it more densely and using the 8T8R antennas (The 8T8R and beam-forming they're using alone brings it up to having the same propagation characteristics as LTE on 1900 MHz while providing much more capacity for data transfer) from NSN, right? Not that you would care. Or that you would care that Sprint already owned 51% of clearwire from back in the day when the venture was started. Or that they have over 100 MHz continuous spectrum on the band in the top metro areas around the country. How exactly will any of the others be able to match the speeds that Sprint will be able to do starting next year in metro areas? They just don't have the spectrum for it. The only reason phones don't support it yet is because Sprint just started deploying it 4Q last year, and they definitely will get the phones with it. Softbank in Japan and China Mobile (the biggest carrier in the world) are both deploying TD-LTE on the same band. The whole "Spark" name is totally a marketing gimmick though, a dumb one at that. But the technology behind it is very much not a gimmick. You know what I'd find pretty damn funny? If T-Mobile and Sprint overcame Verizon and AT&T, pushing those two into the spots T-Mobile and Sprint have been for years. T-Mo being the premier GSM carrier and Sprint being the premier CDMA carrier. From my brief research into the matter, both T-Mo and Sprint have massive potential and spectrum that they have but simply didn't have the will or resources to unleash until now. You may boast about Sprint, and very well MAY be correct. But I disagree with the part about no carrier being able to match Sprint, as based upon the unused potential of both carriers, T-Mo would be a solid competitor.. thus making T-Mo the only one who can truly compete with Sprint. Regardless though. My take on Sprint trying to buy T-Mobile is simply a move to try and take away that competition before it grows too strong, because they know that T-Mo also has massive potential they have yet to unleash. OR it could be because indeed Sprint is in dire straights and is looking to buy a solid network like T-Mo to salvage what they can and create a unified network of some of the most sought after spectrum, which wouldn't have a competitor anywhere in the US (and perhaps even the world). I'm not sure which to lean to, but these two points seem to make the most sense, but based off of Sprints past repetitive actions of buying up networks and just sitting on their laurels, you can see why most lean towards my second option. Sprint was the first one to "unveil" 4G and have to this day, been unable to make anything even remotely befitting of the 4G name (from my past readings from friends and strangers speedtests, Sprints "4G" would generally top out at around 7 Mbps in the fastest of regions, and it would be rare, with the more common of 4 Mbps.. which is pitiful) and it's been 4 years since they've introduced "4G". This is correct. In fact, we are seeing better propagation with the extreme 4x4 mimo radios sprint is using and large channels of spectrum even over their 1900mhz. Even on the edge of spectrum, we are still hitting over 10mbps and that is about 5 miles away from each site. The Lucent towers must not be seeing the same issues as the Ericcson towers. I work for Alcatel Lucent and your full of it - that is all. ow wait let me go find one o no no city around me and i am in washington dc the capital, no doubt sprint will be great 5 years from now but for now shut up you know nothing about service until you have my sprint speed of .17 down and .1 up. Lol, I'm living in a T-Mobile blackout zone (everywhere I go I have service, BUT several hundred feet surrounding my house). Was able to get a booster from them with no problem to pass around the one bar of service that actually does manage to penetrate into that blackout zone (no bars whatsoever for those several hundred feet around my house, but strangely got 1 bar of service in a window in the corner of my veranda). And even THEN I'm getting 1.5-2.5 Mbps down. Looking at the circumstance, as well as the fact that otherwise I'd have no service at all, I'm pretty proud of that fact. That's 2-3x faster than the 3G I was getting from Verizon which gave me 700 Kbps MAX download speed (when they were 3G), and nobody was complaining back then.. why would I now? I know what they got ahead of them and can't help but be excited! It's being deployed in the capital right now. That's funny when I tested Washington DC I was getting 15-30 Mbps. Are you still rocking a 3G phone or something? Your condescending tone is unwelcome. Take it elsewhere. I do not rock a 3G phone, rather was comparing it to the fastest speed that was available just 2 years ago on Verizon with full bars of coverage, to what I get on the absolute fringe of the T-Mobile network now. How nobody complained about the 700 Kbps max speed back then, being on the fringe of T-Mobile's network and getting 3x the speed why would I complain. Especially looking forward for the next year, big changes are in store for T-Mobile customers, so it only gets better from here. That's funny, 3 days ago in DC was getting 17mb dl on my Q10 on Sprint in DC. Definitely not a Spark device. Remember, it doesn't count if the sun burns out first. Satisfied Sprint customer in Mn. Getting good speeds and finality able to stream anything with no buffering pretty much anywhere I go. Sprint is a joke period. Really, waste three bands to achieve just 50 to 60Mbps? T-Mobile in Dallas delivers 60Mbps using just one band. How many years have they been saying that for? You guy's are way too technical. All I read was that you cannot use data and voice at the same time. Wow, it is 2014? Correct? Also looking at every carrier's map's, combined with 3rd party map's, sorry Sprint, your Spark isn't strong enough for me. Yeah but the goal is to move to VoLTE, so it will be using voice and data at the same time. We're not that far from it actually. Yes, we are. Barely any device supports it and issues concerning hand off between towers hasn't been fully tested in the field, among other questions without good answers delaying its deployment.